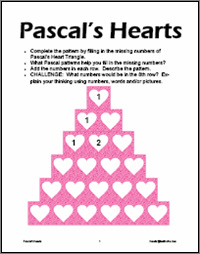 Visit February Math Activities to see suggested activities. Study the use of quilt patterns as secret codes for the Underground Railroad. Consider using some of these activities to enrich math activities. See Winter Math Activities for more details on these activities. Number Draw was designed to help students explore combinations of digits used to form numbers. Dice Game was designed to help students explore combinations of digits to form numbers in a game setting. Lucky Draw was designed to help students develop the concept of probability. Students imagine cutting apart the letters of words and expressions, placing them in a bag, then calculating the probability of pulling different letters. Pet Pens was designed to help students strengthen the concepts of perimeter and area as they use a fixed length of fencing to enclose the largest pen for a favorite pet. Using math templates during instruction keeps each student actively involved and allows the teacher to informally assess each student's proficiency with the skills and concepts addressed in the day's lesson. Many teachers regularly use whiteboards to have students record answers, write terms, draw pictures, etc. The use of templates in sheet protectors extends this practice and eliminates the time spent drawing diagrams, etc., allowing students more time to demonstrate mathematical proficiency. Teachers who regularly use math templates include planned task items that assess student proficiency. Careful observation of student responses allows teachers to form flexible small groups for additional instruction or enrichment and also better plan for instruction. 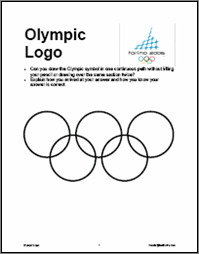 See Template Library to view and download Mathwire.com math templates for student use in sheet protectors.